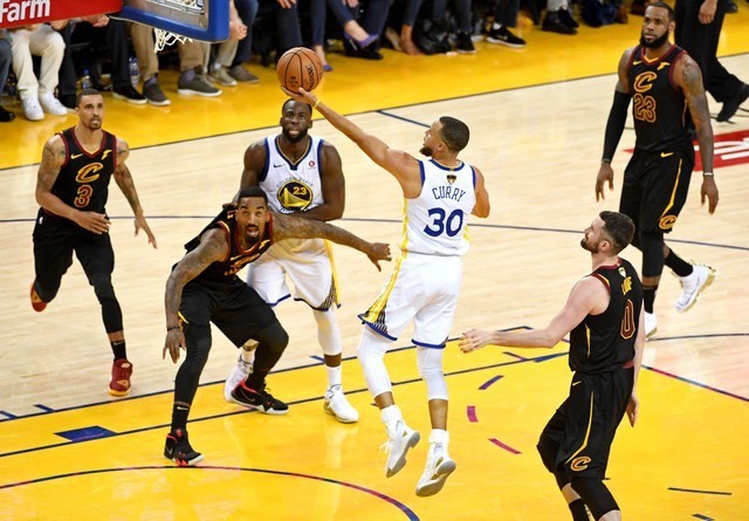 Golden State Warriors withstood an epic performance by LeBron James to beat the Cleveland Cavaliers 124-114 in Game 1 of the NBA Finals on Thursday night at Oracle Arena in Oakland. Steph Curry scored 29 and Klay Thompson added 24 in the win, with the Splash Brothers combining to make 10-of-21 (47.6%) from three-point range. Kevin Durant had 26 points and nine rebounds in the win. 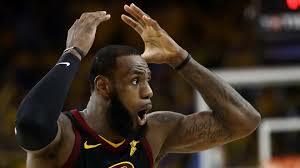 James scored 51 points, the sixth 50-point game in NBA Finals history, and also added eight rebounds and eight assists in defeat. James has eight games with 40 or more points in these playoffs, matching Jerry West for the most such games in a single postseason. After George Hill made a free throw with 4.7 seconds left in regulation to tie the game, he missed the second free throw. J.R. Smith grabbed an offensive rebound but then dribbled out the clock, thinking the Cavs had a lead. They did not, and when Golden State scored the first nine point of overtime, this one was effectively over. Kevin Love returned from a concussion to score 21 points and grab 13 rebounds for Cleveland, who shot 44.9% as a team. Draymond Green missed a triple-double by one assist, scoring 13 points and grabbing 11 rebounds in the win, while adding five steals and three blocks. “This game is over. We had opportunities. I’ll never give up on J.R. That’s not my MO. “I’d never give up on any of my players; any of my teammates. I don’t even think that needs to be said. “I thought we were pretty good. “I didn’t think we were great. I didn’t think we were bad. I think we can play better. “But it’s not like we came out there and stunk it up. “Sometimes you need a little luck. “You know, it’s good to be lucky sometimes. So I’ll take it. “No, I knew it was tied. “I thought we were going to take a timeout because I got the rebound. “I’m pretty sure everybody didn’t think I was going to shoot it over KD right there. Game 2 is Sunday night at Oracle Arena, where the Warriors are 9-1 this postseason and 38-13 all season.